A diverse coalition of 326 immigration, civil rights, labor, and social service groups filed an amicus (friend-of-the-court) brief with the U.S. Supreme Court today in United States v. Texas, urging the court to lift the injunction that has blocked the deferred action initiatives that President Obama announced in November 2014. 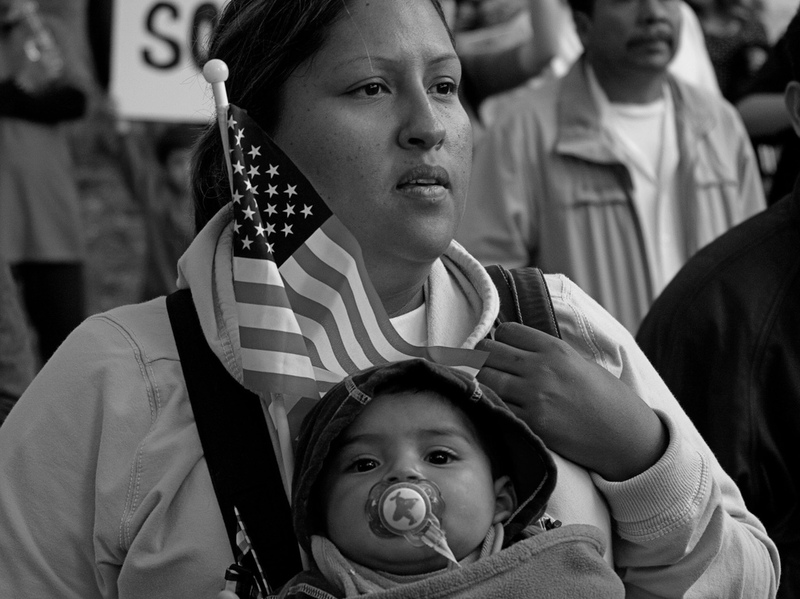 In the brief—filed by the American Immigration Council, the National Immigration Law Center, the Service Employees International Union, the Advancement Project, LatinoJustice PRLDEF, the Leadership Conference on Civil and Human Rights, and 320 other immigrants’ rights, civil rights, labor and service-provider organizations—the groups outline how families and communities would benefit from the initiatives. The brief provides examples of parents and individuals who would be able to contribute more fully to their communities if the immigration initiatives were allowed to take effect. The personal stories of individuals who would benefit from expanded DACA or DAPA are also told in the brief. One such story is about a young man named Jorge who came to the United States from Mexico when he was 15-years-old in 2008. “Jorge and his mother fled Mexico after two family members were killed in drug cartel-related violence. Since arriving in the United States, two more of Jorge’s family members in Mexico have been killed. As a result, Jorge is now the oldest living male in his family on his mother’s side, and he fears returning to Mexico because of the risk of violence. Jorge is attending college at the University of Wisconsin at Milwaukee, where he studies civil engineering. The President’s DAPA and expanded DACA initiatives could help millions of individual immigrants who have close ties to the United States, including millions of U.S. citizen children who live in constant fear that their parents will be deported. This long, protracted legal battle brought by Texas and 25 other states is nothing more than a political battle being fought in the courts. Both deferred action initiatives are well within the scope of the President’s executive authority, and should be allowed to move forward without further delay.